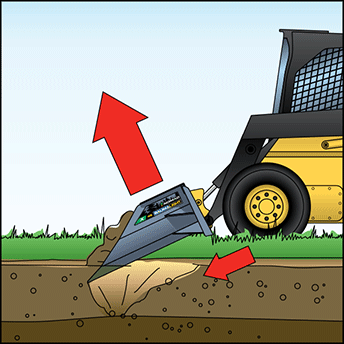 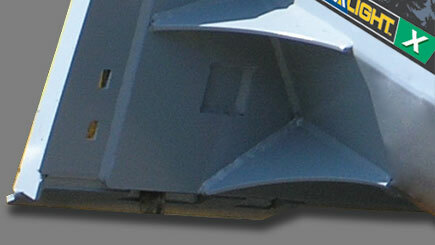 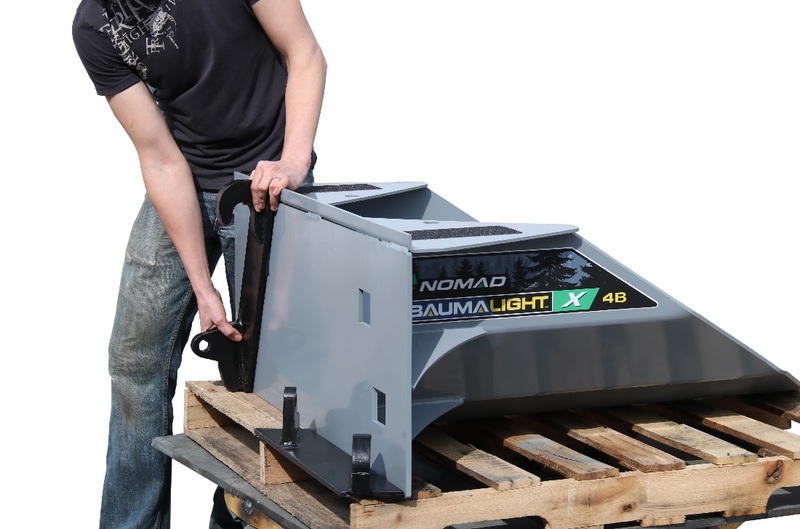 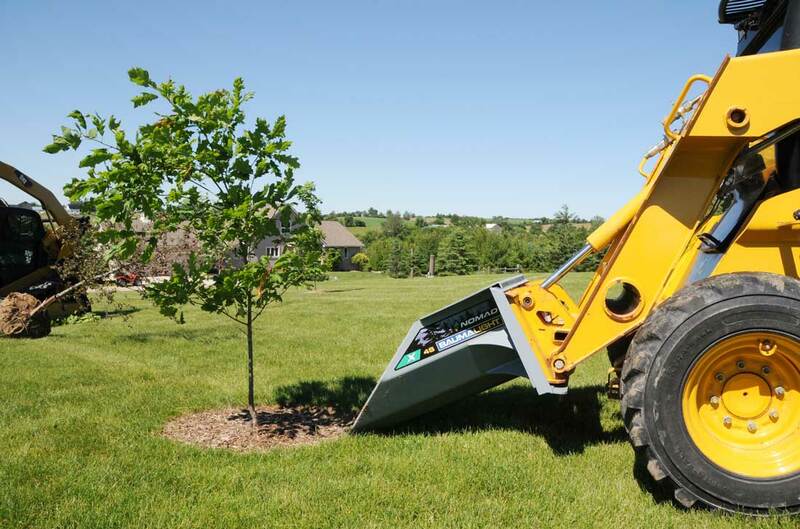 The X4B Tree Scoop is an economical way to move small trees quickly and easily. 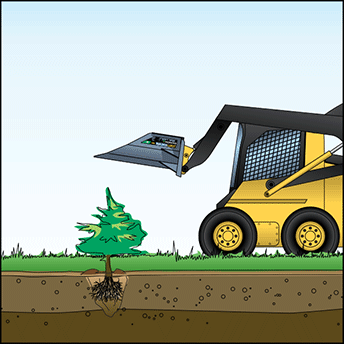 Mounted on a skidsteer, the X4B features a simple and rugged design that gives the operator an excellent view while planting. 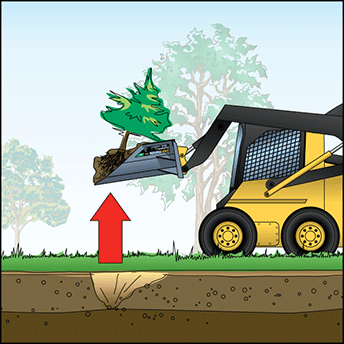 With 1/4" high alloy steel that hardens with use, a reinforced frame and sharp digging point, the X4B is guaranteed to get the job done. 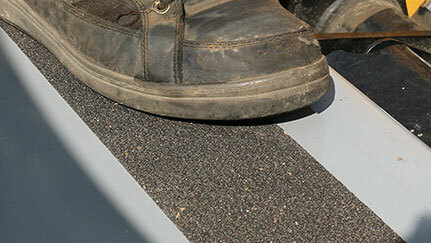 Safety strips on the top of the X4B make getting in and out of your skid steer safe and easier. 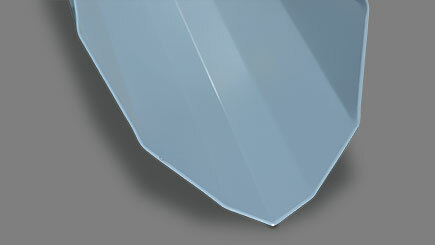 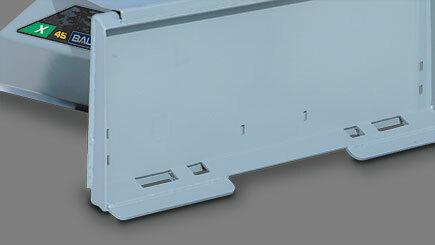 The X4B is gussetted for additional strength.